Beyond Zentangle® Basics Class is the next step in learning the Zentangle® Method with enhancements, tangle variations, and shading. Bring your mini-kit to class. 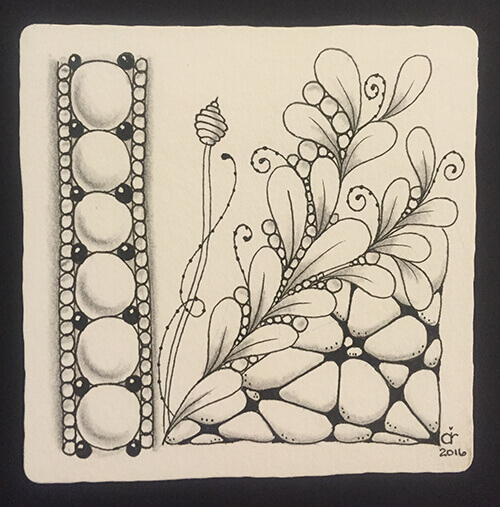 Class is limited to six students, and successful completion of the Zentangle® Basics class is a pre-requisite. Class fee includes additional supplies.